Acura today announced additional launch details for the next-generation 2017 Acura NSX supercar, coming to market next spring, including pricing and the order taking process. Acura also revealed plans to auction off the very first serial production NSX, VIN 001, at the Barrett-Jackson collector car auction in Scottsdale, Ariz. the last week of January 2016. All proceeds from the auction sale will go to a pair of children’s charities: the Pediatric Brain Tumor Foundation and Camp Southern Ground, the passion project of Grammy Award-winning artist Zac Brown. Designed, developed and manufactured in America, the 2017 Acura NSX will have a Manufacturer’s Suggested Retail Price (MSRP)1 of $156,000 in the U.S. and will top out at $205,700 when equipped with all available factory features and options1. As Acura’s first build-to-order vehicle, customers will be able to design their NSX by selecting one of eight rich exterior colors and four interior color schemes available in three different seating surface options. Customers can further customize their NSX through several exterior and interior features including three wheel designs with painted or polished finish, carbon-ceramic brake options, a carbon fiber interior sport package, carbon fiber roof, and more. 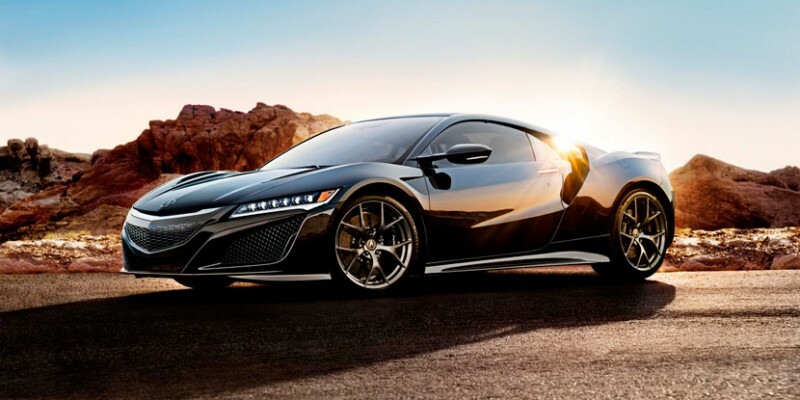 Customer order taking for the new NSX will begin on Feb. 25, 2016 at authorized NSX retailers, in concert with the launch of a vehicle configurator on Acura.com. The configurator will be the first engagement point for customers interested in exploring the process of ordering a vehicle from an authorized NSX retailer and enthusiasts who want to configure their dream NSX. Once customers have customized their vehicle online, they can schedule an appointment with an authorized NSX retailer to finalize the order. The 2017 NSX will be the first all-new Acura vehicle to be auctioned for the benefit of charitable organizations – certified to be the very first serial production NSX. The winner will be able to customize their NSX to their choosing. More information on Barrett-Jackson can be found at barrett-jackson.com.